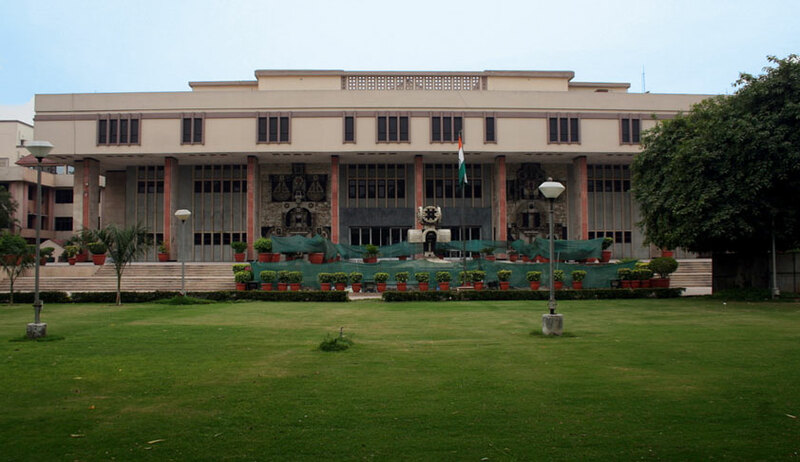 The Delhi High Court on Wednesday issued notice to the Centre, the Delhi Government, the Chief Passport Officer and Sushil Ansal, a real estate tycoon and a convict in the 1997 Uphaar fire tragedy case, on an petition filed by the Association of the Victims of Uphaar Tragedy (AVUT) seeking an inquiry into purported connivance between Sushil Ansal and the passport authorities due to which the latter was issued passport without him applying for the mandatory No-Objection Certificate (NOC) before any criminal court where cases against him have been pending for over 21 years. Justice Najmi Waziri directed that notices be issued to all respondents, including Sushil Ansal. The court also directed the Chief Passport Officer to produce the application filed by Sushil Ansal for issuance of two passports, including the one which was mentioned in the proceedings before the high court way back in the year 2008. The matter will now be heard on October 3. The AVUT, in its petition, alleged that Ansal connived with the passport authorities to get his passport reissued without following the due process of law which required him to obtain a No-Objection from the criminal court where his case had been pending. “The Respondent No. 4 has not approached any of the three Criminal Trial Courts in the last 21 years for seeking NOC for passport, although he was facing criminal trials since 1997 in the Uphaar Fire Tragedy Case, the case for tampering of evidence which is pending before a Patiala House court and the complaint case filed by Neelam Krishnamurthy in June, 2007 wherein Sushil and Gopal Ansal were discharged in the year 2015,” it said. “The petitioner was constrained to file the petition as in the last 21 years, Respondent no. 4 (Sushil Ansal) has never approached any Criminal Court to seek a No Objection Certificate for issuance or renewal of his Passport in terms of the Provisions of the Passports Act 1967 and has travelled abroad extensively,” said the petition. In the plea before the high court, the AVUT pointed out that Ansal has mentioned multiple passport numbers in various proceedings even as he has never approached any criminal court seeking no objection certificate or clearance for issuance/renewal of a passport in terms of the Passports Act and the notifications issued by the government from time to time. The petition said Sushil Ansal has played a fraud upon all the criminal courts and has not taken NOC from any of the courts in the past 21 years. He did not even take NOC from the Supreme Court during the pendency of his appeal in the main Uphaar Fire Tragedy Case during the period 30.1.2009–19.8.2015. The Supreme Court had convicted both Sushil Ansal and Gopal Ansal on 5.3.2014 and due to dissenting views among the judges with regard to order on sentence, the appeal was referred to a three-judge bench. During this period, the Supreme Court had, in April 2014, restrained both Sushil and Gopal Ansal from travelling abroad without the prior permission. Respondent No. 4, in connivance with passport officials, concealed the information of the criminal case pending in Supreme Court as well other courts in the last 21 years and has got his passport re-issued/ renewed in complete defiance of Section 6(2)(f) of the Passports Act. It is to be noted that Sushil Ansal along with others were convicted in 2007 in the Uphaar Fire Tragedy case in which 59 people had died. The high court upheld the conviction in 2008 followed by the Supreme Court in 2014. The high court, however, suspended his sentence after which he approached the trial court for return of his passport. In the meanwhile, various court records were tampered with and an FIR came to be registered against Ansals and others. The case is pending. During these proceedings, the petitioner association noticed that Sushil Ansal has never approached any court for seeking renewal of his passport although his co-accused Gopal Ansal has approached the trial court on numerous occasions seeking permission for the renewal of his passport. This led to AVUT filing an application seeking direction to Sushil Ansal to place on record the order granting passport renewal to him for a period of 5/10 years with a prayer to conduct an inquiry and take appropriate action in accordance with law. This application was dismissed by the trial court in January, 2018 on three ground—the facts relating to the present application have no bearing to the facts of the case; accused cannot be compelled to produce documents which would tend to be incriminating against him; and no prosecution can be instituted against any person in respect of any offence under the Passports Act without previous sanction of the Central Government. When arguments on Sushil’s plea were concluded, he filed a supplementary application seeking no objection from the trial court in relation to the passport held by him and mentioned his passport number too. Following this, AVUT moved trial court praying that directions be issued to the passport authority, Ministry of External Affairs to place on record the true and correct details of the present passport held by Sushil Ansal “as there exists a discrepancy in the passport number held by him in 2008 and the present passport”. It is to be noted that in the period i.e., between 2008 and 2017, Ansal has never approached any criminal court seeking NOC for renewal of his passport yet had a different passport number in 2018, as mentioned in his supplementary application seeking NOC. The trial court, however, dismissed the AVUT’s plea. The AVUT then wrote to Joint Secretary (PSP) and CPO, CPV Division, Ministry of External Affairs, on May 31 against Sushil Ansal for getting his passport renewed by concealing the fact of pendency of criminal cases and also without taking a NOC from the court, a copy of which was sent to the PMO. “…the reply from the PMO makes it evident that Respondent No. 4 had suppressed material information in the application form and had connived with the passport authorities to get his passport reissued without following the due process of law,” said AVUT.